British Prime Minister Theresa May pictured after a meeting with European Council President Donald Tusk at the European Council headquarters in Brussels last Thursday. ALMOST SEVEN IN 10 (68%) small and medium enterprises (SMEs) in the Republic of Ireland think Britain leaving the European Union will have a negative impact on their businesses. This figure rose by 5% in the last quarter of 2018. A similar number of SMEs in Northern Ireland (62%) fear the same outcome, according to figures released today. This number remained unchanged in the last half of 2018. The AIB Brexit Sentiment Index for the fourth quarter of 2018 also found that 35% of SMEs in the Republic and 40% in the North that had planned to expand or invest in their business have either cancelled or postponed investment plans due to Brexit. In terms of the possibility of a hard border returning between the Republic and Northern Ireland, only 10% of SMEs in the North believe this will happen. However, this figure rises to 27% in the Republic. The Brexit Sentiment Index baseline is zero, with a potential range from +100 to -100. For Q4 2018, the index registered a score of -41 in the ROI, unchanged from Q3; and -31 in Northern Ireland for Q4 2018, compared with -35 in Q3 2018. SMEs operating in the food and drink sector are most pessimistic (-53), ahead of retail (-45) and tourism (-42). Catherine Moroney, Head of Business Banking at AIB, said despite the fact so many businesses are concerned about the impact of Brexit, just 8% have engaged in formal planning to deal with the outcome. The survey found that the majority of SMEs (64%) believe their working capital requirements will stay the same in the next three years, while just over a quarter (26%) feel that they will require additional working capital as a result of Brexit. Moroney said this is “particularly concerning as Brexit, whether hard or soft, will inevitably result in the need for increased working capital to manage businesses cost pressures or possible price inflation should Brexit eventuality result in the UK leaving the EU customs union”. 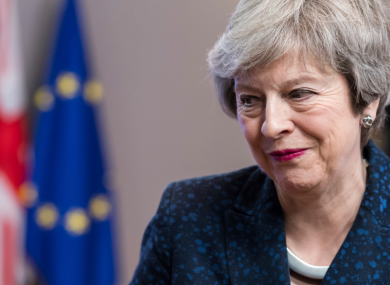 Speaking in Belfast last week, British Prime Minister Theresa May noted that people living in Northern Ireland and the Republic are understandably “anxious” about Brexit as it is there many of the effects will be most keenly felt. Email “Seven in 10 SMEs think Brexit will have negative impact and many are cancelling investment plans ”. Feedback on “Seven in 10 SMEs think Brexit will have negative impact and many are cancelling investment plans ”.